First Legion is pleased to present the first of the enemies of Imperial Rome, the Ancient Germans! The Ancient Germans were among Imperial Romes staunchest adversaries. Though the Romans won many of the Wars, they were never fully able to subjugate Germany the way that they had most of their other enemies. As such, Ancient Germany remained the northern border of the Roman Empire. Throughout the period of late Republic and Empire, there were a series of wars and uneasy truces that would last until the late Empire when the Ancient German tribes were among the many who went on to sack Rome. 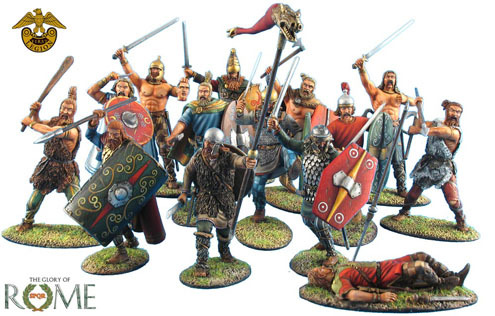 Though useable throughout the entire period, we have presented the Ancient Germans during the Marcomannic Wars between 166 and 180 AD facing off against Marcus Aurelius. So these figures are pefect for such tribes as the Marcomanni, the Quadi, and so many others. 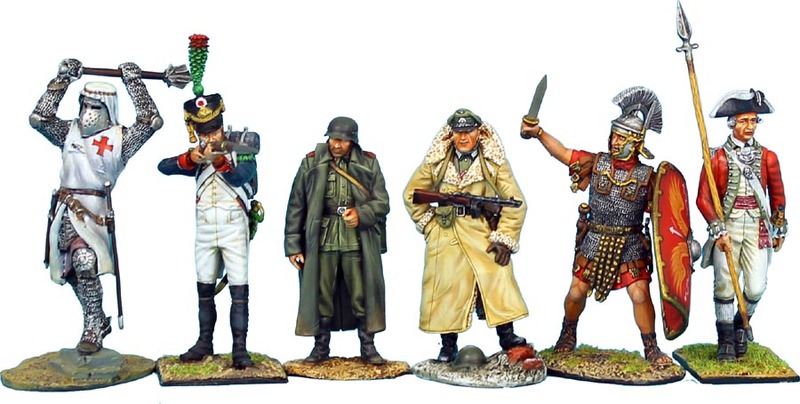 They will make a wonderful and much needed addition to any serious Roman toy soldier collection! . In our opinion this is suitable for most new Roman Collections. Such as Collectors Showcase and King & Country.